NEW: Instant Access to Professional Development. Online Access and Downloadable in 10 min. or Less, PLUS Highly Practical and 100% Guaranteed! Get four (4) powerful 99-minute live staff development presentations, delivered online. You can now soak in the cutting-edge content over and over for maximum learning. That’s right; this is a relevant, research-based professional development session you can use to present to either administrators or staff. This, in a nutshell, is the new science of learning. 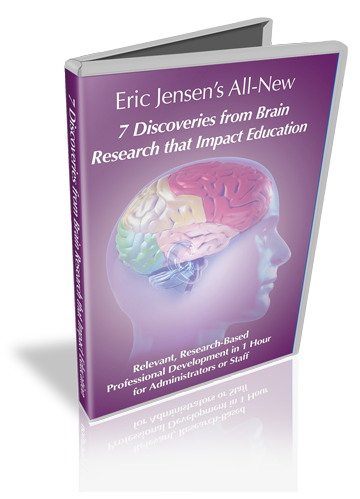 This is your ticket to understanding “brain-based discoveries” that will amaze and empower your staff. 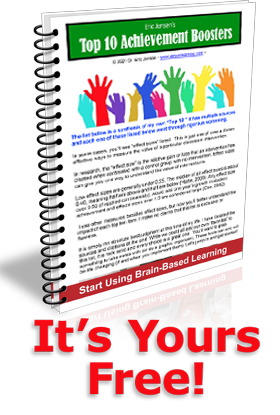 Many have called this the most powerful introduction to brain-based learning. Seven core principles are introduced, each with critical links to student achievement. Here’s what you get in this fast-paced overview of the recent research. In today’s world, budgets are tighter than ever. Principals are now tasked with a great amount of staff training… and we’ve made it easier for you! 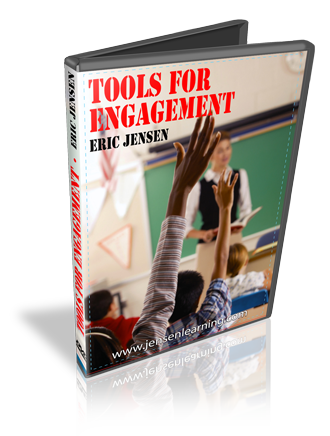 Eric Jensen has prepared a wide variety of PowerPoint presentations to help deliver a powerful presentation… helping you deliver a clear concise learning experience. Anyone who currently or will in the future, spend a lot of time in front of groups. Your presentations will have title slides and closing slides. Average presentation is 75-125 slides, depending on the topic. You may customize (in fact, you are encouraged to do so) your slides by adding your own titles, key themes, strategies, persons of interest, school pictures and activities.